Wouldn’t it be nice if all you had to do to get rid of mice was plug in a little device? No setting traps, dealing with poison or dead mice. That is the allure of using an ultrasonic mouse repeller or pest control device. But what are these magic little units and do they really work? Mice can hear high pitched sounds undetectable by humans. What Are Ultrasonic Pest Repellers? How Do Sonic Pest Control Devices Work? What Kind Of Pests Do Ultrasonic Devices Work On? How Much Do Ultrasonic Pest Repellents Cost? Do Ultrasonic Pest Repellers Really Work? Ultrasonic pest repellers are devices that release ultrasonic or high-frequency noise in order to repel and eliminate pests such as mice and bugs that are normally found in homes. Homeowners plagued by mice are often curious if these ultrasonic mouse repellents are an effective tool in getting rid of mice. The idea behind using sounds to repel pests was first adopted by the Chinese thousands of years ago. They used devices that were operated manually and emitted sounds to expel bugs and pests from their crops. Ultrasonic pest repellers as the name implies, use ultrasound which basically means sound of more than 20,000 Hz. This frequency of sound is practically undetectable by the human ear. Ultrasonic sound is thought to cause certain symptoms in pests such as confusion, convulsions, and even death which is known as an audiogenic seizure response. Pests are then supposed to leave the area that causes this type of distress for a friendlier environment. 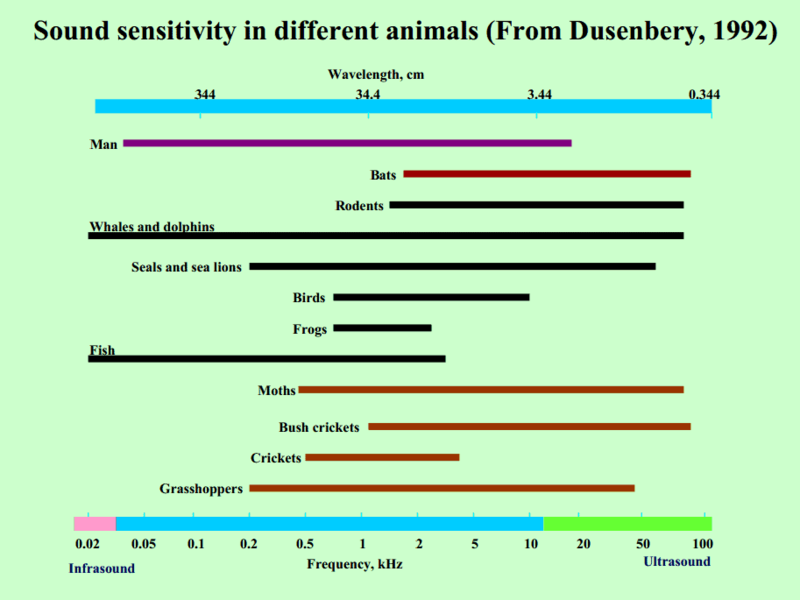 The following chart from the Dusenbery study in 1992 shows the sound sensitivity in different animals. From this chart, you can see how rodents can hear sounds at a much higher frequency when compared to humans. This chart was published in the Ultrasound and Arthropod Pest Control study by Kansas State University. Ultrasonic pest repellents seem to work on a variety of different pests. The pest they tackle depends on the type of device with some repelling rats, mice, cockroaches, ants, and spiders and others also repelling squirrels, fleas, bats, etc. Most ultrasonic mouse repellers are safe for household pets such as dogs and cats which aren’t affected by the ultrasonic sounds that the device emits. 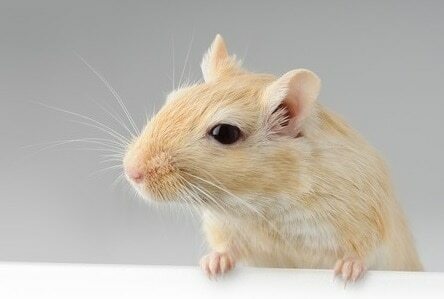 However, the sound can distress domesticated rodents such as rabbits and hamsters. Always check the manufacturers warning labels when using this type of device to be sure. Prices of an ultrasonic mouse and pest repellers usually range from about $10 to $100 depending on the brand and the number of different pests that it can repel. 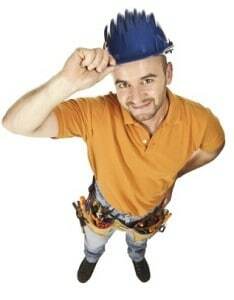 Usually, the more variety of pests that a device can repel the more expensive it is. The plugin repellers are less expensive than the corded units. You can buy an individual plugin repeller for about $10. Most manufacturers also sell them in a pack of 4 or 5. Since the sound doesn’t travel through walls, you may need several units to cover your whole house. The majority of the multi-pack units sell for between $25 and $35. The corded pest repellers usually have a longer range, and that comes with a higher price tag. The cost of these units ranges from $25 to $100 each. You should expect to pay about $50-60 for a good system. In our experience, the corded units work much better. One corded rodent repeller will cover at least 5,000 square feet, so should work well in an attic or basement area. Use this table to compare the features of the top rated electronic rodent and mouse repellers. We’ve only included the models which received the highest reviews and good feedback from customers that actually used the product. All three companies represented here have excellent customer service and will stand behind there products. 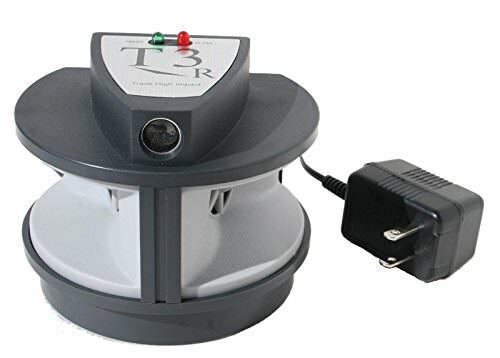 After reviewing the top-selling pest repellents, our favorite model is the T3-R Triple High Impact Mice, Rat, Rodent Repeller. We like this model best for several reasons. The design of the T3 is very effective. It has 3 speakers where the next best competitor has only 2. It also can vary the ultrasonic sound which is very effective. It was by far the most popular according to customer feedback. No other product really came close. Customer service is excellent. The owner of the company is very active in the community. He goes out of his way to answer questions and personally works with anyone who is not getting results. This level of service is very uncommon in today’s internet age. The 6-foot extension cord makes it easier to place the unit in the right places. 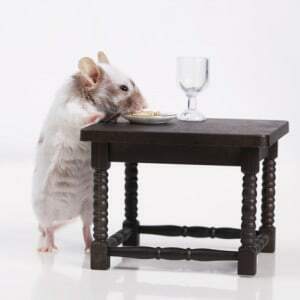 If you’ve read through some of the advice on this website, one of the critical success factors in getting rid of mice is to control them where they sleep. This is most likely in your basement, attic or crawl space. In our opinion, using this type of mouse repeller in the living room isn’t going to do much good. It will only keep them out of that room. You need to keep them from building a nest inside the home. So placing the mouse repeller close to their nesting area is very important to your success. It is an overall safe device to use, avoiding the use of dangerous and toxic chemicals and poison which may be harmful to household pets and even humans. It is relatively inexpensive with devices costing less than $100 and consuming very little electricity. 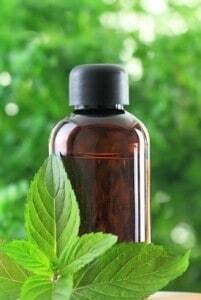 Usually, there is no need to spend more than a one-time investment in this mouse repellent. They work for many different types of pests which makes it almost a one-size-fits-all pest controller as opposed to other methods that only tackle one pest at a time. Their effectiveness has been highly debated with some studies suggesting that they don’t work at all, and some other tests such as the one done in 2002 by the Kansas State University stating that they work but only for certain kinds of pests and not others. The debate is still is out, and it cannot yet be said that they work 100%. According to some accounts, they don’t eliminate pests completely but may reduce them to a certain extent. Other sources suggest that the pests may become habituated to the ultrasonic sound and won’t be bothered by it after some time. It has a short-range. Usually, they can work in one room but won’t cover a complete house. Therefore, depending on the areas where pests may be present, the user may need more than one of these devices. 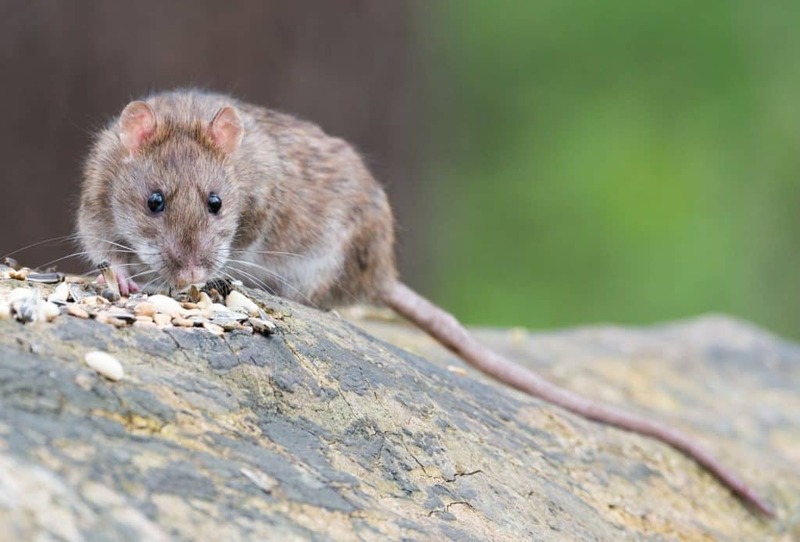 According to scientific tests, it is still unclear if sonic pest control products are truly effective ways to repel rodents and other pests. There seems to be quite a debate on this subject by pest control professionals and the scientific community. Here are the findings from 2 such testing experiments. In a study by Victor Pest Control, their Ultrasonic PestChaser shows promising results. • This product successfully repelled rodents from 13 of the 17 sites tested. • The average number of days before rodent activity stopped was 6 days. This is very promising news and seems to be consistent with some of the product reviews from people who have bought them and have seen and reported their positive effects. See the following video which explains in detail how the Ultrasonic Rodent Repellent works and some good tips for using it in your home. Kansas State University conducted a research study on Ultrasound and Arthropod Pest Control which did confirm ultrasonic devices have a repellent effect on some pests, but not others. The best results were obtained with a tympanate moth. However, there was no effect on ants or spiders. As most studies conclude, they determined more research was necessary, and the results were dependent on the specific devices used. 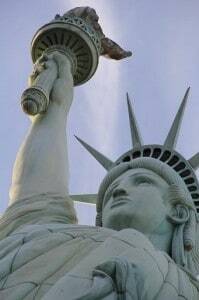 In 2001, the Federal Trade Commission issued a warning letter to 60 manufacturers and retailers of ultrasonic devices. The letter warned the companies to ensure all claims be supported by scientific evidence. The FTC had reviewed the marketing materials and advertisements of these companies and thought many could be in violation of the FTC Act which protects consumers against false advertising. This is good news for the buyers of such products since it should prevent companies from publishing misleading statements as facts. It will also hopefully encourage them to test all products before such claims are made. Some researchers agree with the FTC’s findings and have also warned consumers to be wary of unsubstantiated claims made by pest control companies. The University of Lincoln Nebraska Extension office in Lancaster County published an article which simply tells readers to save their money. They claim that these gadgets are being marketing to unsuspecting people looking for an easy solution. The article did not cite any specific product or company in particular. If you are looking forward to purchasing an ultrasonic pest repeller, you should look at reviews from people who have bought the same product to check how effective it has been for others. It is recommendable to buy those products only from companies that have a large number of positives reviews from verified buyers. This helps to ensure the reviews are genuine and not added as a marketing ploy. Also, look for proof the company has conducted independent experiments. If the product was thoroughly tested and the results were positive, the company is likely to give this information to potential buyers freely. Cost can be another consideration. The only way to truly know if a product will work in your particular environment is to try it yourself. Just as not every mousetrap will work for every person, it is likely not every electronic mouse repellent will be equally effective in every home. There are a number of factors which can influence the effectiveness of the device, such as other noises in the environment or the layout of the home. Consider how much you are willing to spend to try the product. While a $5 device may not be very trustworthy, spending too much on a device (such as more than $50) is also not recommended since we don’t know for certain if it will do as promised or not. For the price paid, using an ultrasonic mouse repeller is an interesting and alternative option to other types of pest control. They are one of the cleanest methods since they are used to repel instead of killing the mice. No messy bait, emptying of traps or poison to worry about. They are also very low maintenance, most units will last an entire year. All you need to do is make sure it is plugged in. While the jury is still out on the overall effectiveness, the investment is very low making this a nice alternative to messier solutions.